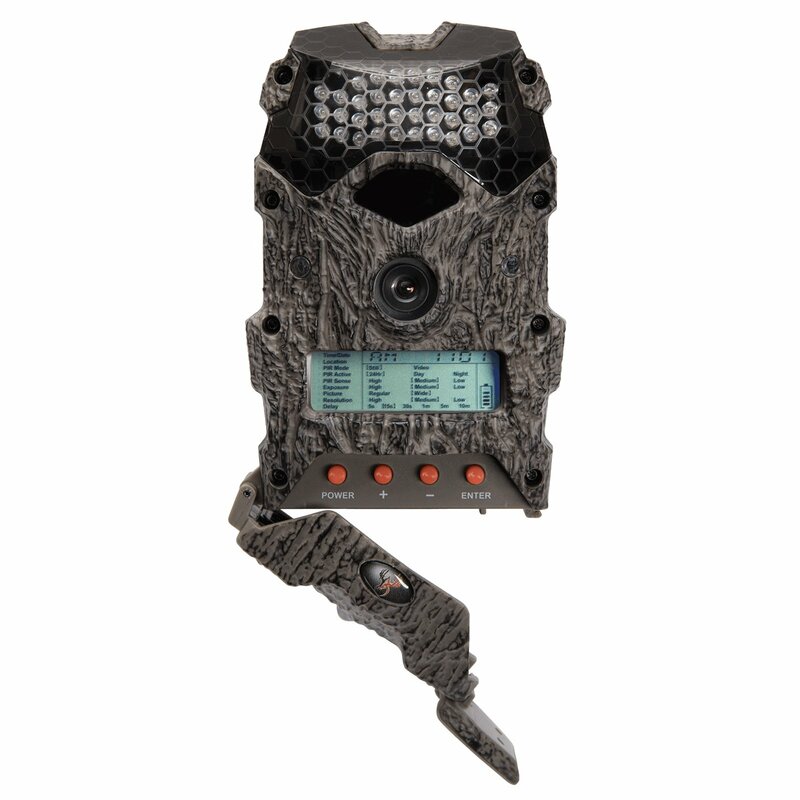 Do some serious scouting on your property this season in anticipation of your best hunt yet with the help of the Wildgame Innovations Mirage 16 16MP Game Camera. Find out exactly when and where your deer, turkeys, and other game are moving (day or night).This trail camera's less-than-0.5-second trigger speed, 80-foot range, and infrared flash capture all the action without startling or spooking the wildlife. It shoots with 16 megapixels of resolution and can also capture up to 30 seconds of HD 720p video at a time. Use up to a 32GD SDHC card (sold separately) for memory storage and easily keep it secure with the included security locking system for Python cables (not included).This Wildgame Innovations trail camera also boasts a water-resistant housing that stands up to Mother Nature's worst, as well as a detailed camo finish that helps it blend in.